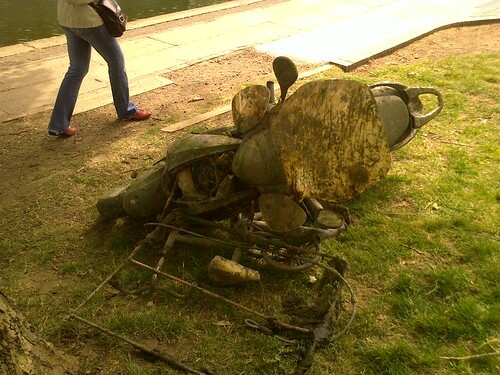 Today we walked Regent's canal and saw several scooters most liked lifted from its bed recently. 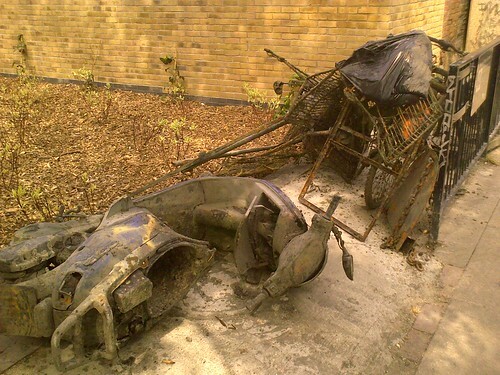 There were 5 or even more of them, and a great number of bicycles, shopping carts and other rubbish. Couldn't help thinking of that scene from Spirited Away.